Establishing your status, this wonderful combination of nature and opulence is difficult to obtain at Vikhroli. Equipped with the advanced and the greatest accessible amenities, these beautiful living residences are luxurious and relaxed with no settlement in enjoyment. satisfaction of increasing the living standards of Indian families, Godrej Origins has been imagined and created for the residents to reach a comfortable and generous life. Godrej Origins presents a comfortable environment for a modern style of life. A complete project that provides everyone’s prospects and inspires new determination to observe the wonderful entertainment estimated life. It brings you into a fully new world of tranquility where the harmony of spirit will be the complete beloved present. There was an article by LiveMint that Godrej Properties had sold 300 apartments at Phase 1 of Godrej The Trees. So 29th April is the main day for the sales at Origins, lots of people will be going for site visit. They actually will do a lot of sales compared to their previous week and most probably will sell off their entire inventory. 23rd and 24th of April (Saturday and Sunday) was really good for Godrej Properties. They sold apartments worth Rs. 350 Crores, and saw a more than 500 families coming to see the project. This Origins launch has been a very good success for the Godrej developers. This will be the last phase in The Trees. Godrej Origins has been the one of the fastest moving projects in the city and the most fast selling project for Godrej Properties. If you want to talk about the inside area, I would say it could not be any better. You get a 3 BHK apartment, where in the bedroom you can fit a sofa with a study table. I mean, who gives that? You get so much space in your own bedroom, with even a balcony where you overlook the greenery. The apartments plans are made as per the Vaastu. There will be retail stores like Social, Starbucks etc. Moving to Origins project will be the best move you will make, what I think is that if you want a peaceful life with good connectivity this is a good option for you after Lodha New Cuffe Parade. In my opinion, even that project is a very good one, it has 8 towers, with all the amenities. People have their own preferences some want certain location, for some people location, doesn’t matter. The appreciation value of the property what you will get at Godrej Origins will be very high than other real estate properties in the nearby vicinity. This is because of the upcoming location of Vikhroli, the name Godrej Properties is spread all over the areas of the location of Vikhroli. Even the development of the commercial properties in the Trees and upcoming development of Taj Hotel is one of the reasons. People who are thinking about this property as an investment, even for them this is a very good option. Chembur is just ten minutes away, Bhandup is ten minutes away, getting towards Powai and Andheri could never be easier. One can easily get to South Mumbai in just twenty-five minutes. Godrej Origins is occupied with the ultra-modern amenities, every corner of the design is created with the excellent quality products, and every apartment is spaciously different in its personal style. Rest at the wonderful atmosphere or combine with like-minded friends, your home here at Godrej Origins will satisfy your soul with happiness and satisfaction. The highest structure in the surroundings, Godrej Origins which is phase 3 of Godrej The Trees accomplishes the attractions of urban living by allowing a world class atmosphere. The wonderful open area is a breathtaking amalgamation of greens, great cascading river bodies, palm forest, pools, and fountains. Other projects by Godrej Properties includes Godrej Emerald, Planet Godrej, Godrej The Trees, Godrej Prime and Central at Chembur and others. Established in the necessary place, Godrej Origins proposes luxurious apartments with excellent duplex flats with landscape garden. There will be total 285 units in phase 3 of The Trees, there are 1, 2, 3 & 4 BHK apartments ranging fro 465 Sq Ft to 1690 Sq Ft of carpet area. There was a news that Godrej Property ties up with Taj Group to make a luxury hotel at Godrej The Trees. On 23rd and 24th of April, you will get most exclusive discounts at Godrej Origins which will be very beneficial for you. This project makes it easier for you to reach any part of the city easily. Established in the necessary place, Godrej Origins proposes luxurious apartments with excellent duplex flats with landscape garden. There even has been another good launch at Thane by Kalpataru Group, the project’s name is Kalpataru Paramount and even Xrbia Chembur. The project at Phase 3 of Godrej Trees presents you with a unique combination of peaceful home and smart transform. Furnished with state-of-the-art facilities, phase 3 is a representation of the dynamic moments of today’s world, as well as a loyalty to one of the famous towns the world has ever seen. If you are viewing for comfort at home – Godrej Origins is your new residential home. Here you are surrounded by the exquisite facilities, protection, and preferences so as to reach a trouble free lifestyle. The friendly environments facilitate a healthy and wellness life all day. Create effective existence at Godrej Origins at Vikhroli, Mumbai with your loved ones. You will encounter everything actually, directly from the pure air to the starlit atmosphere. One cannot help but evoke the feeling of love, symbiotic thought, and harmony within the encouragement position. Godrej Origins by Godrej Properties is created to present you the best facilities, established at Vikhroli, The excellent quality of raw materials has been used to build this incredible construction. The greatest in quality instruments & accessories provide the residents an excellent experience. The fantastic & bright shade combination gives the apartments wonderful ambiance with a comforting & relaxing environment. The building has been preserved by a very specific coating of paint to stand the test of times. This project of Godrej Properties in Vikhroli, Mumbai is the excellent residential location where one can experience a new direction of living with your loved ones. Godrej Origins is based on the universally important apartment concept. Established in the fundamental and well-developed area, this project is equilibrium to become the favored apartment of corporate tourists, expatriates and NRI’s. Established under the completely Godrej Origins residential complex, it’s an investment possibility you can’t provide to need. Well-equipped with modern facilities and amenities, no application has been spared in presenting you a retreat that will establish your benchmarks of luxury to a level that might just destroy you. 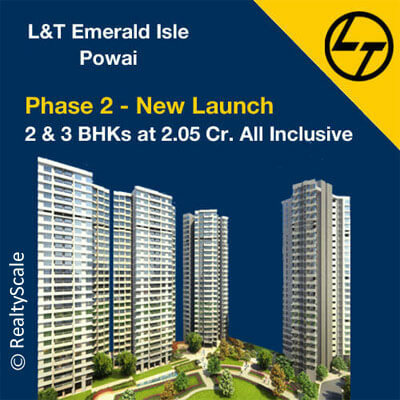 It has 1, 2 & 3 BHK apartments which are really worth buying for, you can expect yourself to live in the kind of house you would be thinking to live in for your future. Godrej Origins is a very beautiful and thoughtfully created home which satisfies the requirements of all kinds of residents with all sorts of requirements and facilities wanted for a friendly and comfortable living. To be an established human being with a scheduled daily routine and excellently placed a set of aims to keep supporting an extremely modern living environment, you actually need that kind of situation where you do not actually need to compromise or adjust to the existing positions and make you feel as if you deserve the right position. The project Godrej Origins is that is why the most charming place to have a living.